If you often experience problems with your vision, proper ocular nutrition may be able to improve your eyesight. Like any other organ in the body, your eyes require proper nutrients to work as they should. Modern diets are full of junk food and potential toxins that can do harm to all of the body’s systems, including the eyes. Fortunately, by observing correct ocular nutrition, common vision problems can be reduced or eliminated. Leafy green vegetables like broccoli, kale, spinach and cabbage are rich in important compounds called cartenoids. Cartenoids help to reduce macular degeneration in the eye, thereby supporting good eyesight. Macular degeneration is a disease of the eye that affects the area behind the retina. If not treated, macular degeneration may eventually lead to blindness in some individuals. Certain kinds of fruit are thought to reduce the risk of eye infections, as well as protect against damage caused by excessive exposure to bright sunlight. The best fruits to eat for better vision should contain lycopene, which is a good nutrient for the eyes. Through proper consumption of leafy green vegetables, the odds of developing macular degeneration can be reduced significantly. Fresh fruits like apricots, black currants and blueberries – if consumed on a regular basis – can help to maintain healthy eyesight. Foods that are rich in lycopene are vital for good ocular health. Another good source of lycopene is the tomato. When eaten regularly, tomatoes can improve night vision and reduce color blindness. Lycopene is one of the most essential sources of proper nutrition for the eyes. Many people already know that omega-3 is an important element for the body, as it helps with rheumatic conditions and improves mental clarity. But many persons may not know that omega-3 is also vital for developing strong eye muscles and proper tear duct function. Omega-3 can be found in fish like salmon, mackerel and hoki. It’s also contained in seeds, nuts and the hemp plant. Alternatively, omega-3 supplements can be taken to support good eyesight. Ocular nutrition for better eyesight is based on a balanced diet with an emphasis on leafy green vegetables and fish, foods that are rich in lycopene and omega-3. If you also do eye exercises and get Vitamin A naturally by eating carrots, you hopefully will be able to postpone the need for glasses or contact lenses. Eating too much junk food can lead to poor vision, as it contains meager nutritional value. Try to eat several portions of fresh fruit and vegetables every day, along with proper amounts of carbohydrate and protein. Make sure you also drink enough pure mineral water to keep your body properly hydrated. A lack of hydration can also lead to vision problems. Remember the link between fitness and nutrition. If you aren’t able to eat a healthy and balanced diet to support eye nutrition, then vitamin supplements for the eyes are another option. 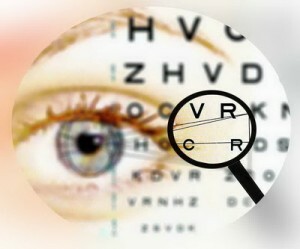 Visit vitamin supplement websites for eyesight nutrition or natural herbs for vision support. There are several eye exercises available that can help to improve vision. Your eyes are naturally lazy, so these eye exercises help to stimulate the eyes through flexing and relaxing. 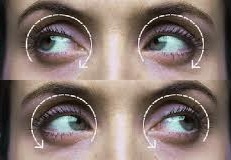 Doing exercises helps the eyes to work more efficiently, resulting in improved vision. Hold your index finger in front of your face, about 4 inches away. Try to focus on your finger, seeing as many details as you can. After one minute, switch your focus quickly to any object which is at least 10 feet away from your finger. Hold this for about 30 seconds, then refocus on your finger again. Repeat the process a few times. Sit with your back straight and stretch out your arm to arm’s length while keeping your thumb in a “thumb’s up” position. Focus on your thumbnail while holding this position. Now gradually bring your thumb close to your eyes while trying to keep it in focus. Bring your thumb as close as you can while maintaining focus. 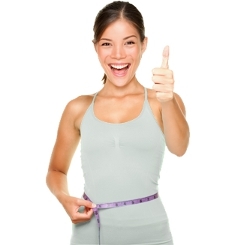 Now move your thumb back to arm’s length and repeat the exercise a few times. Rub your palms together for a couple of minutes until they feel warm. Then place your palms on your eyes in a cupped position, so that your fingers are resting on your forehead. Keep your eyes open and make sure that no light comes in between your fingers. Feel and see the darkness inside your cupped hands and experience the warmth of your palms. Repeat this exercise several times to help revitalize tired eyes. This exercise supports the ocular eye muscles which in turns helps to improve blood flow in the areas surrounding the eye. It also increases the level of oxygen available to the eyes, thus improving vision. Close your eyes and rotate your eyeballs, first clockwise and then counter-clockwise. Rotate your eyes in each direction for 10 to 15 seconds, change directions, then relax for a minute or so before repeating the exercise again. Begin this exercise by trying to look as far to the right as you can. Then look as far to the left, as far to the top and as far to the bottom as you can. Feel your eye muscles work. Then relax and repeat several times. As few as 20 minutes a day spent exercising your eyes should help improve your vision noticeably within weeks. When combined with proper ocular nutrition, it should be possible to improve your eyesight naturally over a period of weeks and months.